Love yours with the Cragars . Is there anyone out there in 'resin parts land' that'll do front & rear end 'replacements' for a Duster kit I wonder ?? 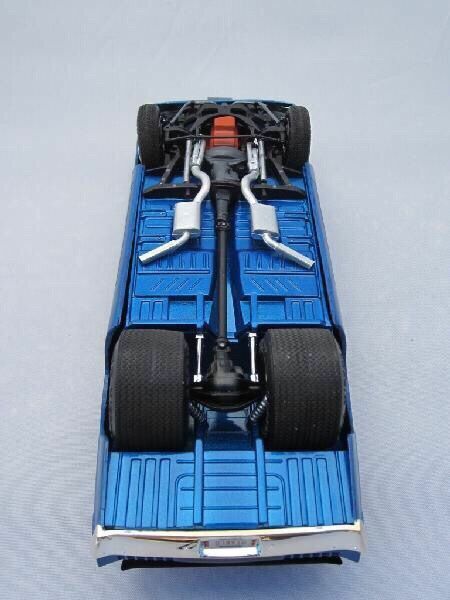 I have seen Diecast ones ( Including Hot Wheels... ) Good luck with the search . 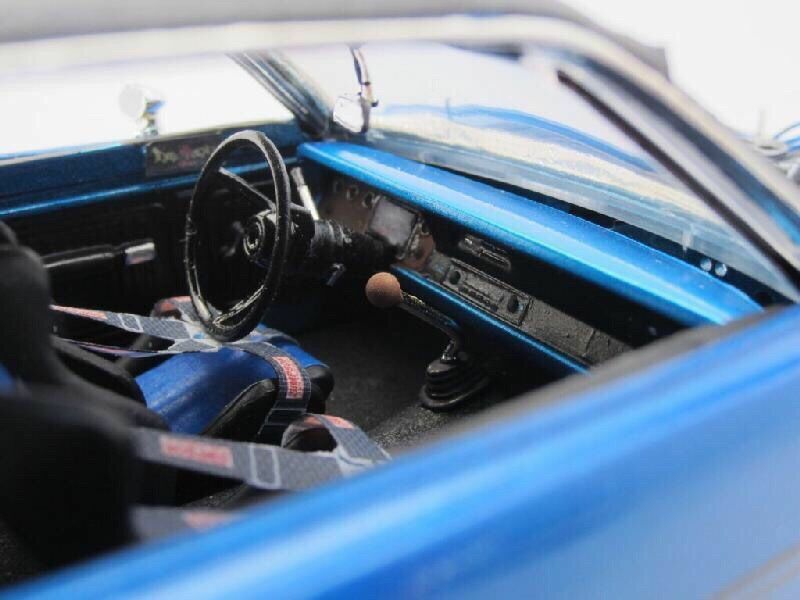 I must say I am extremely impressed with 68383 Mopar Maniac's gorgeous 72 Pro Street Demon build... Excellent job!!! Just saw this on ebay . 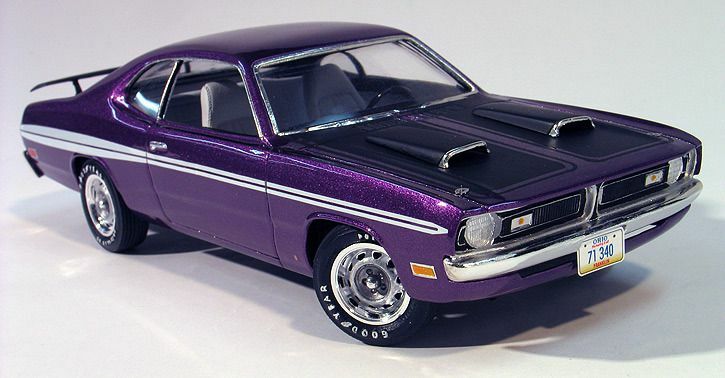 Here is another 1/24th scale model 71 Dodge Demon I ran across several years ago. 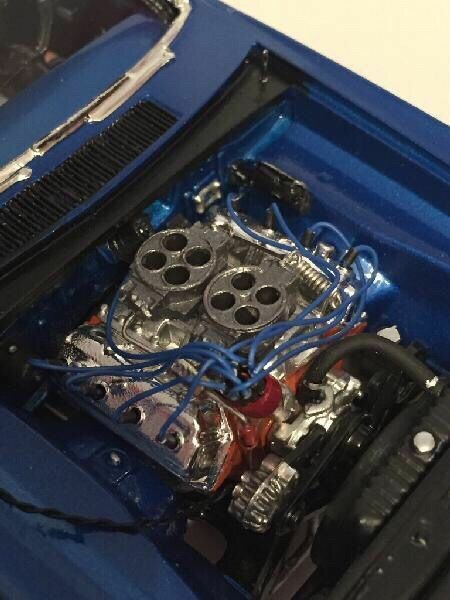 I lost the information about this build and can not remember who built it. It did inspire me to give my best shot to build my own. 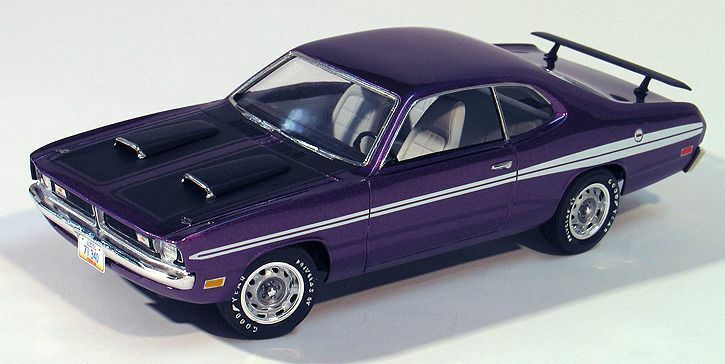 I got a 71 Duster model kit and a LA Dart model kit and got started. 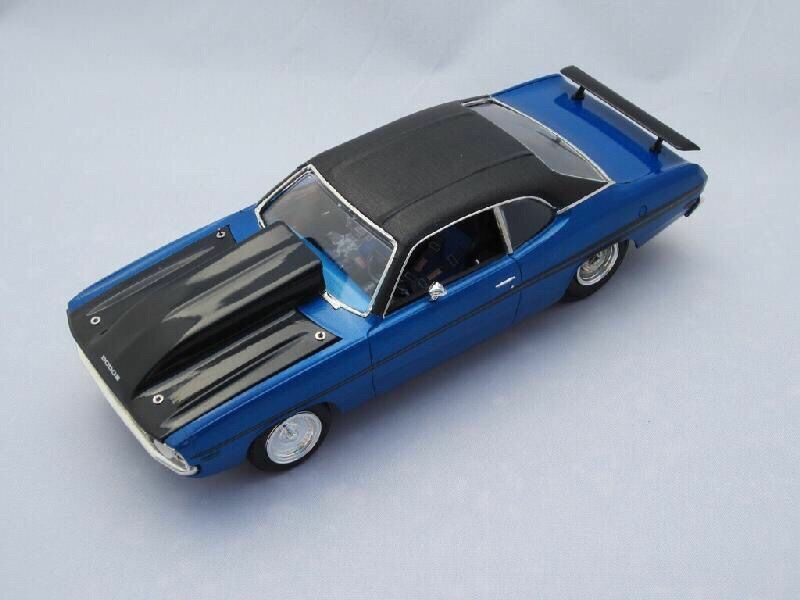 I cut the nose fron the 71 LA Dart and carefully attached it to the Duster body after I cut the nose from it. Surprisingly enough it came out better than I expected. 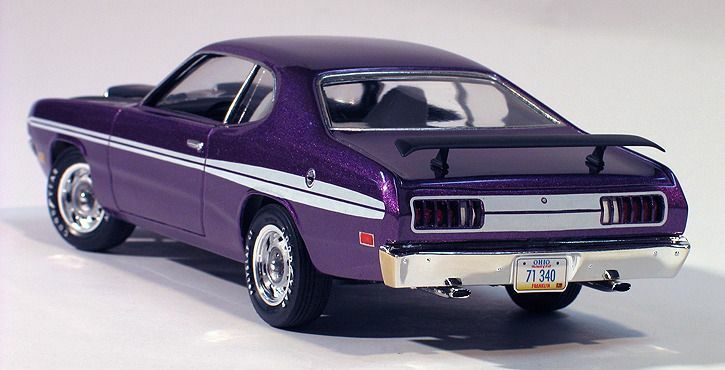 I used thin tooth picks to change the tail lights to Demon style which also came out rather well. 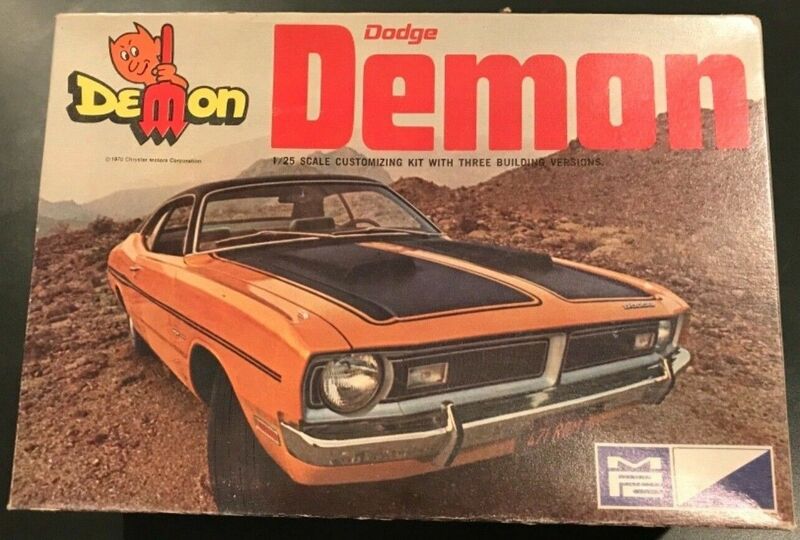 Anyway here is that gorgeoug build I ran across years ago of a 71 Demon to share here. I am sorry I can't remember the builders name or any info. on it, but it sure is GORGEOUS!!! This is an awesome subject, and that purple Demon is an awesome build! I have the kit you desire. But it is now a disassembled "glue bomb" in excellent shape for a rebuild. 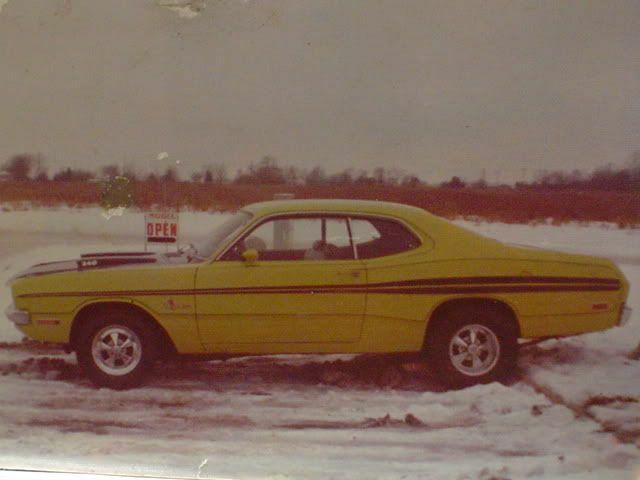 See, when I was a kid, pops bought a 71 Demon 225 six, which was the car I learned to drive in. So I have special memories. Maybe today I will take a few photos of the kit in it's current condition just for fun and to add to this thread. One thing to remember as you build your kit. 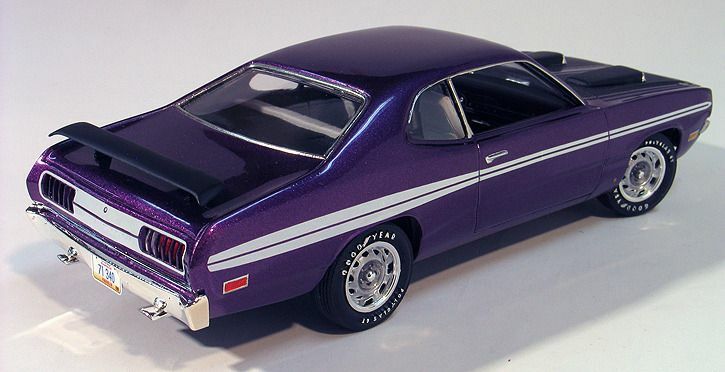 And I am not sure if the Dart kit has this feature, which the purple car does not...is the fender line on the front wheels doesn't match the back - it was designed in harmony with the rear of a Dart. Notice that on your yellow street car (awesome by the way!). 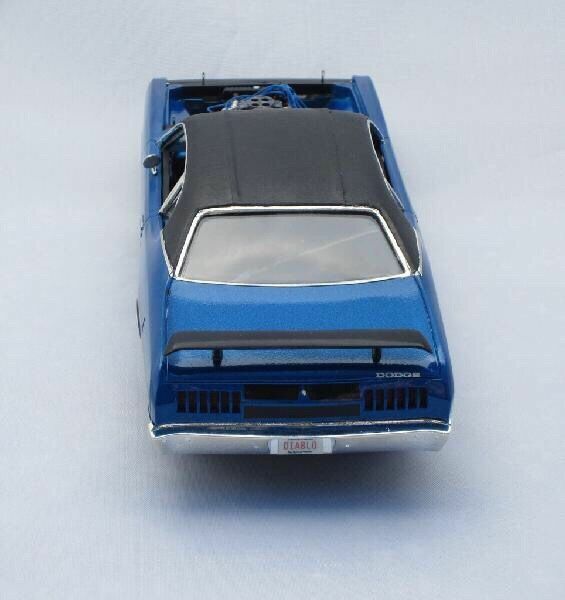 The Demon kit is wrong, and has a Duster fender opening, with Dart surface from forward of the wheelwell. I am enjoying this as well ! I have just had "a daft idea" of changing my Tom Daniel's Cop Out Duster Funnycar to a Demon in Tor Red with Stock decals . modern 1000hp Challenger motor transplant . And the green version of a mod top & interior.